We begin with the growing concern that a new Cold War could be brewing between the U.S. and Russia and speak with Nina Khrushcheva, a Professor in the Graduate Program in International Affairs at The New School and a Senior Fellow at the World Policy Institute. She joins us to discuss Russia’s military escalation in Syria with a flotilla of warships including an aircraft carrier showing the flag as they enter the Mediterranean today on their way to Syria. We also look into the concerns that Hillary Clinton’s call for a no-fly zone in Syria could lead to a military confrontation and assess the possibility that although the Kremlin seems to have hoped for a Trump victory, a new “reset” of the tense and tattered relationship between the former Cold War adversaries could happen with a new Hillary Clinton Administration starting with a blank slate. 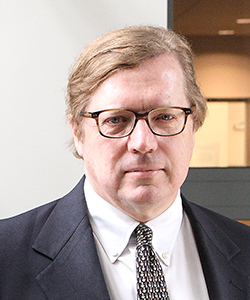 Then we speak with Ambassador David Scheffer, a lawyer and diplomat who served as the first United States Ambassador-at-Large for War Crimes Issues during the Bill Clinton Administration. He led the U.S. delegation in U.N. talks establishing the International Criminal Court that three African nations are now abandoning, with Burundi, then South Africa and now Gambia withdrawing from the ICC. We discuss the charge by Gambia’s Information Minister that the ICC is “an International Caucasian Court” since all of the arrest warrants issued since 2005 for 39 individuals are Africans. We also discuss why the U.S. has not joined the ICC and why Middle Eastern and Asian war criminals have so far not been indicted. Then finally we speak with Justin Vogt, a senior editor at “Foreign Affairs” about the latest issue of “Foreign Affairs” that deals with the power of populism with wide-ranging analyses of the rising populist movements of the left and right emerging around the world as traditional duopolies in Europe between the socialists and the conservative fray and in the United States the Republican/Democrat duopoly is challenged on the left by Bernie Sanders and on the right by Donald Trump. We explore the extent to which growing inequality is the result of neo-liberal economics and globalism and the cause of the populist rejection of elites around the globe.